Discussion in 'iPhone' started by RobbleDog, Oct 7, 2011. Just ordered my 4s using the upgrader app. Smooth and easy. If the site is giving you trouble still (it was for me) you should try the app. Upgrade app didn't work for me. what the app's name ? from app store? did u see the iphone 4s or u just clicked on iphone 4 pre order? A Liar? Ok I guess my confirmation email I got isnt proof enough. Sorry it's not working for you, just trying to let others know it worked for me. did you click on the pre - order 8gb iphone button? didn't apple pull that app hours after it went on midweek? edit: nevermind i see it's back in the app store. sorry. downloaded the app. seems to work but asks me to remove my grandfathered DATA unlimited. I Didn't wanna go further. Thank you for your recent order! Your iPhone has been reserved. 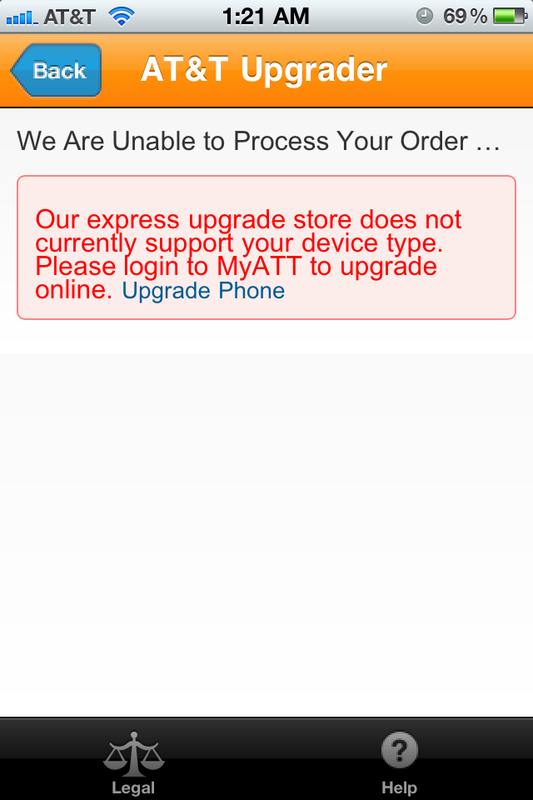 Your order is expected to be delivered on 10/14/11*. You will receive a confirmation email when your order is ready to ship. You can track your order online at www.att.com/wirelessorderstatus. Status may not be available if your order was placed within the past 24 hours. Existing Customers: Services and features already on your account may not be listed below. This exact problem is where I'm stuck at. I specifically called them asking if this would remove my unlimited data plan and they said no, then I go to pre-order and see this?